Robbie has recorded 12 solo albums of crafty-lyric, country-folk music since 1996, including 2016’s Grammy-nominated Upland Stories . We discuss “America is a Hard Religion” and “Fare Thde Well, Carolina Gals” from that album, then look back to “Where There’s a Road” from Georgia Hard (2005) and conclude with “I Told Her Lies” from South Mouth (1997). 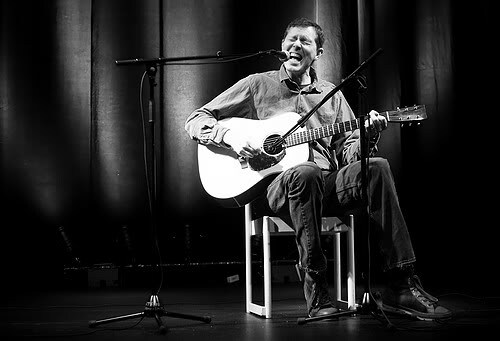 Opening/closing music: “Hamilton County Breakdown” a 1989 live recording released on The Very Best of Robbie Fulks . Learn more at robbiefulks.com. Here he is playing “Fare Thee Well” solo. Here’s his current live trio. Here’s his crazy cover of Michael Jackson’s “Don’t Stop ‘Till You Get Enough.” Here’s the Sam Bush cover of “Where There’s a Road” that Robbie refers to. Here’s more info about James Agee’s book about sharecroppers.